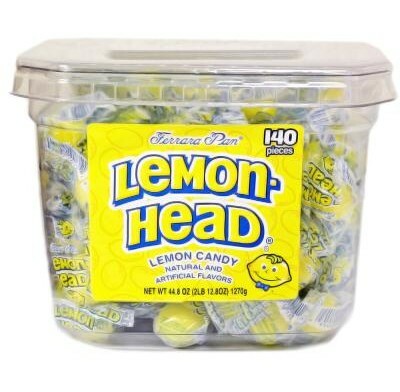 Deliciously sour Lemon Head candies packed in a convenient plastic jar. 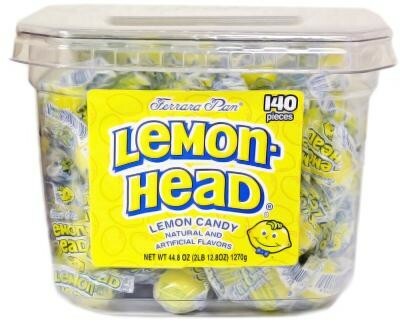 These lemon suckers are made with real lemon juice. There are 150 individually wrapped candies per tub.